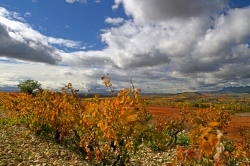 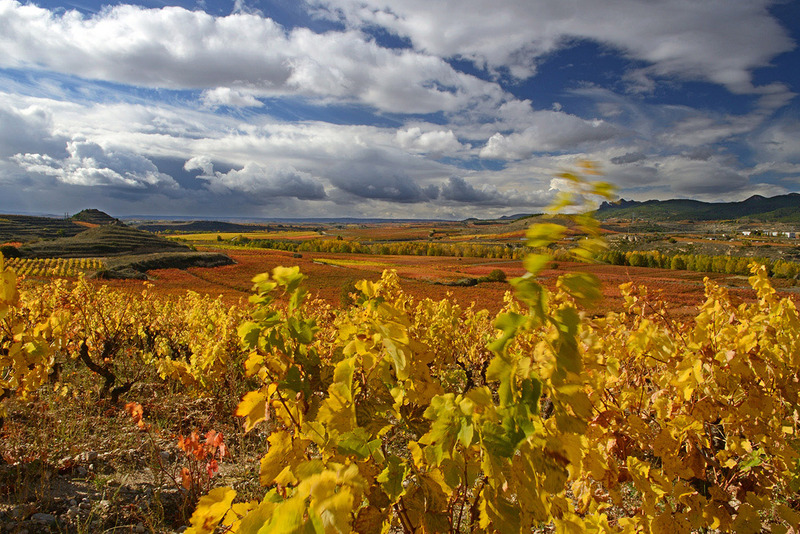 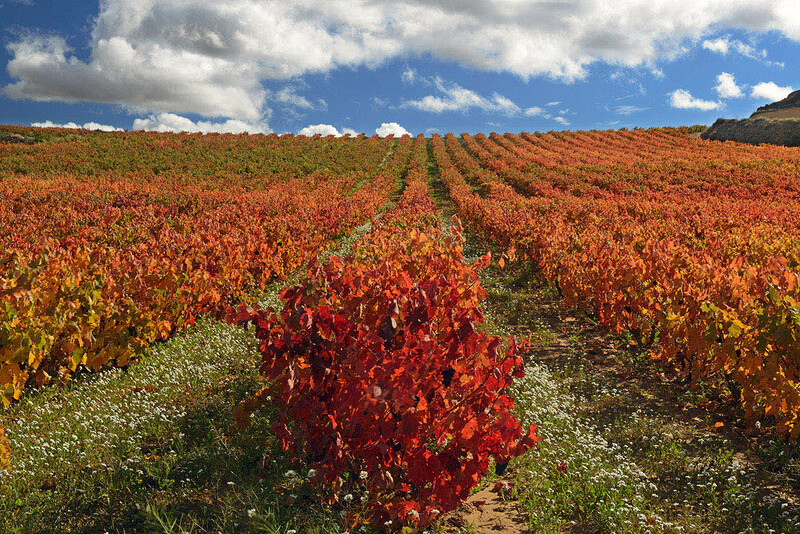 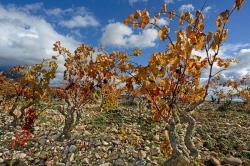 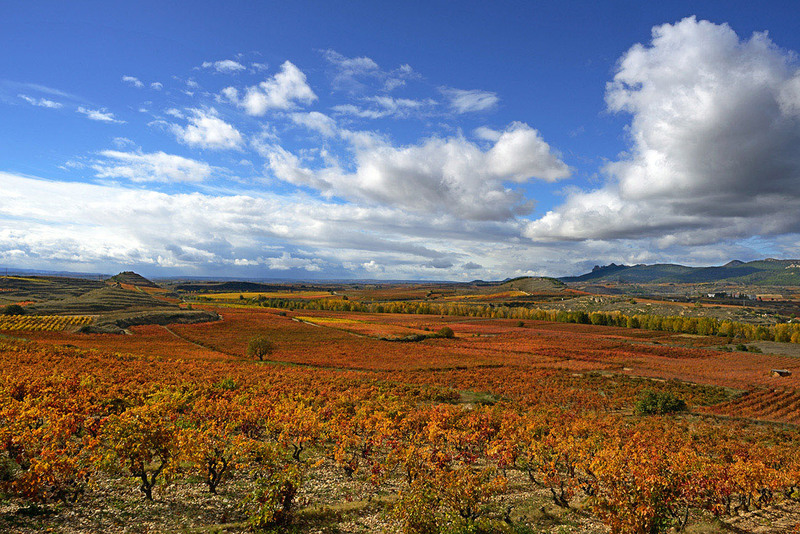 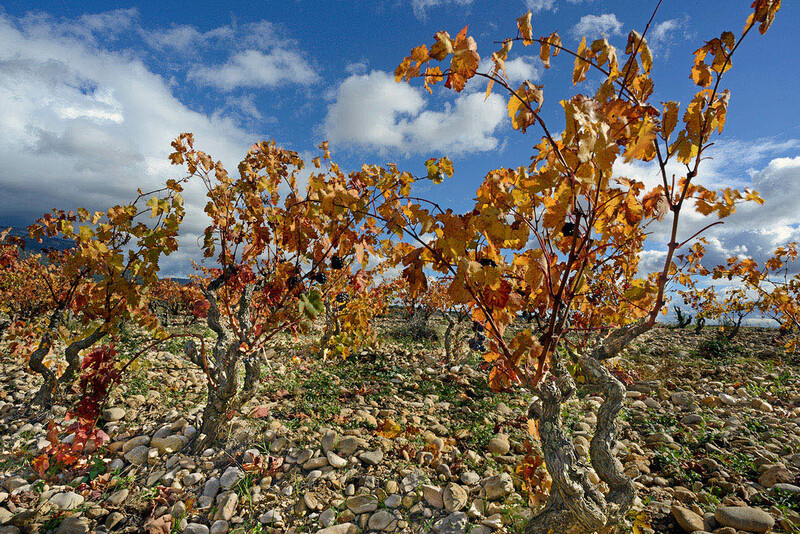 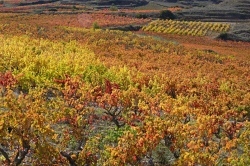 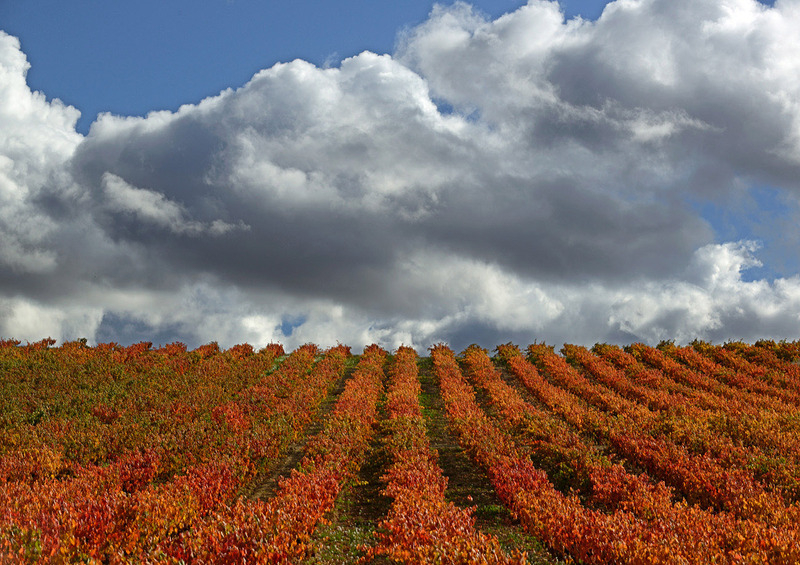 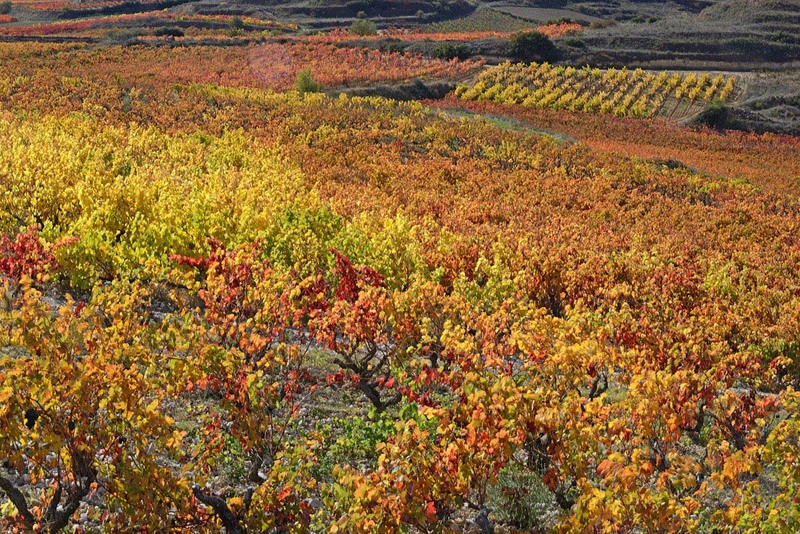 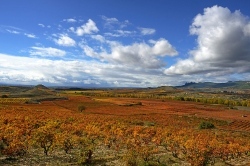 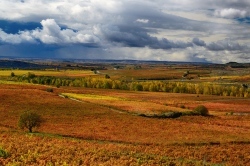 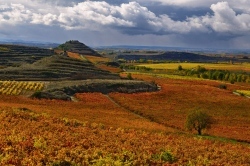 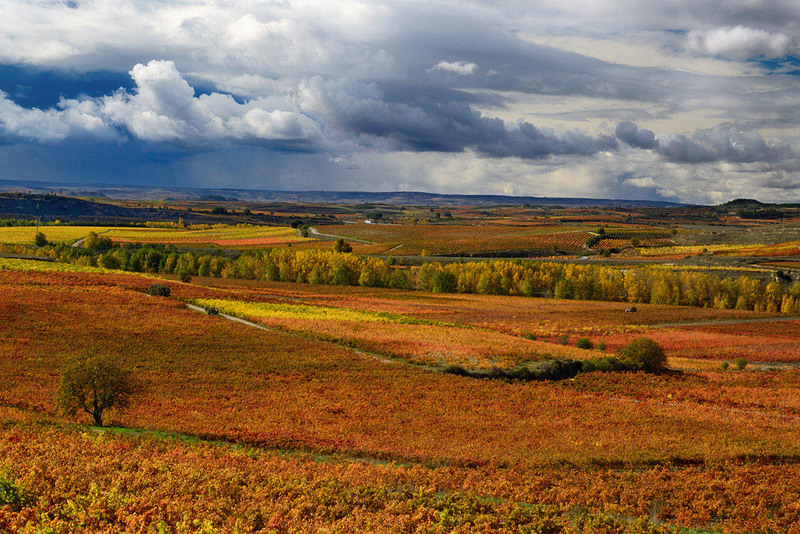 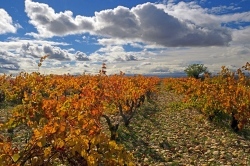 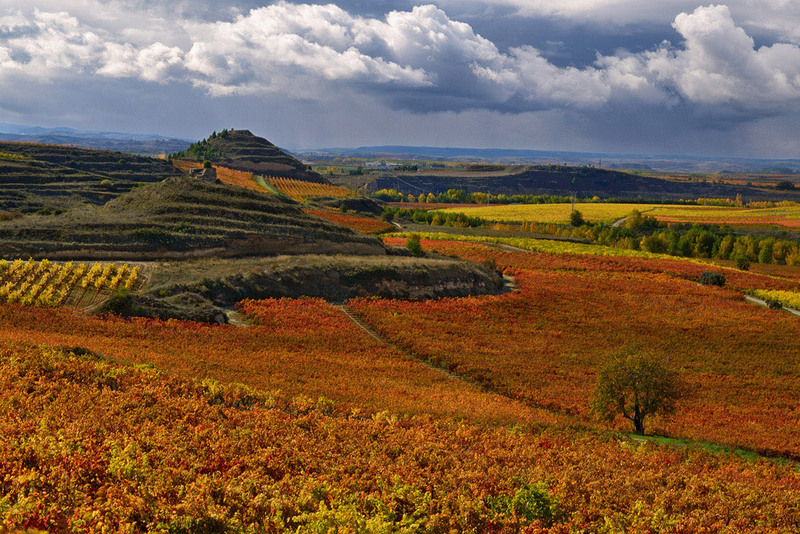 When autumn dawns on the vineyards of Lopez de Heredia, its surroundings fill with unimaginable colours, colours in all ranges of reds, yellows, greens, browns and gold… which contrast in a special way with the blue of the sky and the different whites of the clouds. 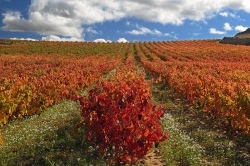 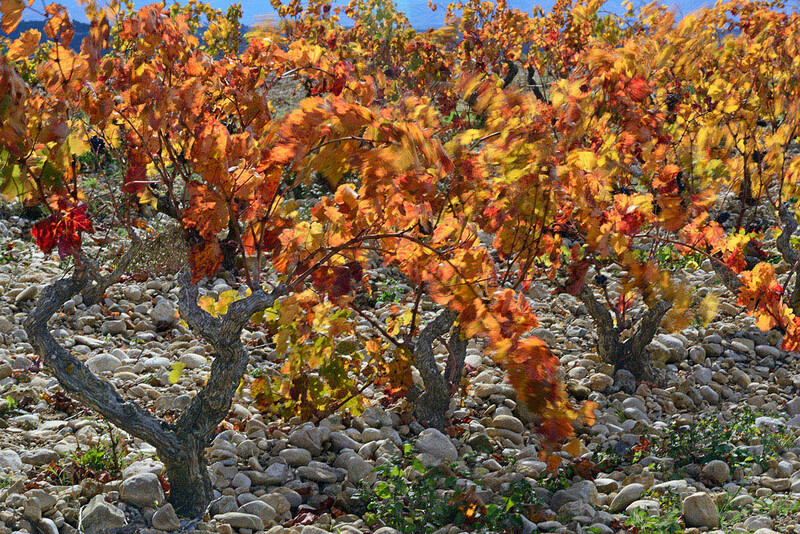 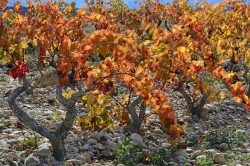 Such is the magnitude of the explosion of colour registered in these vineyards, that the mind is in need of a short lapse of time in order to adapt itself to such an awesome spectacle and be able to assimilate, at first sight, so much natural beauty through our eyes. 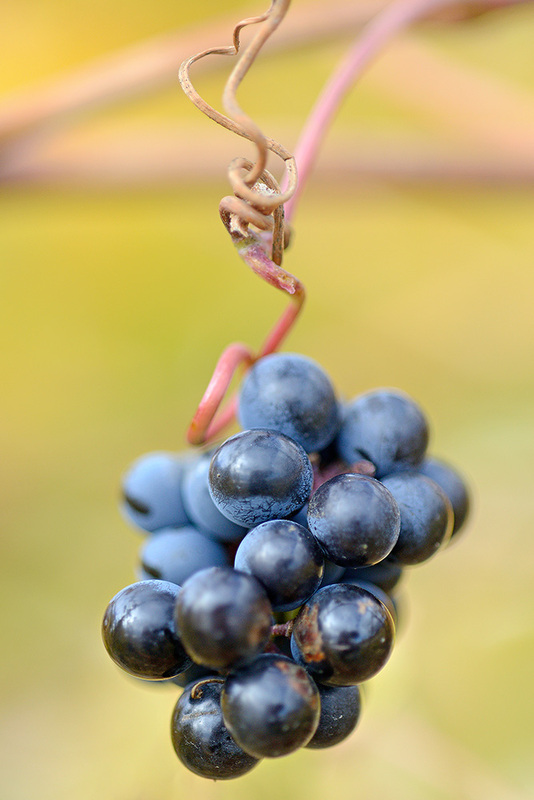 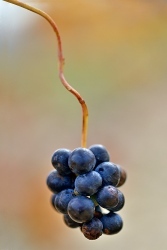 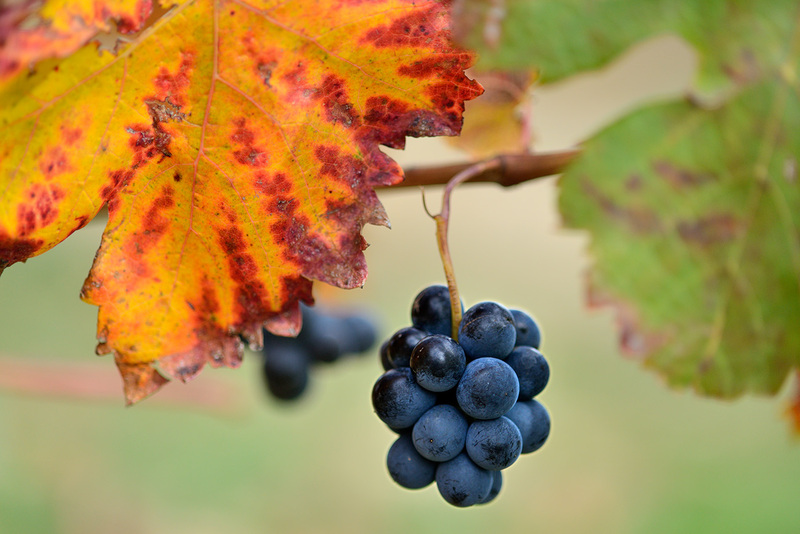 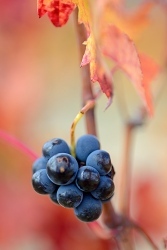 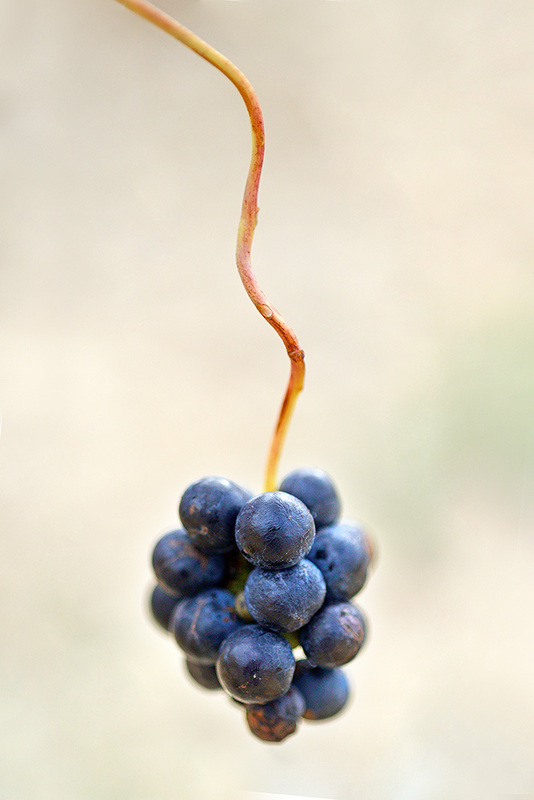 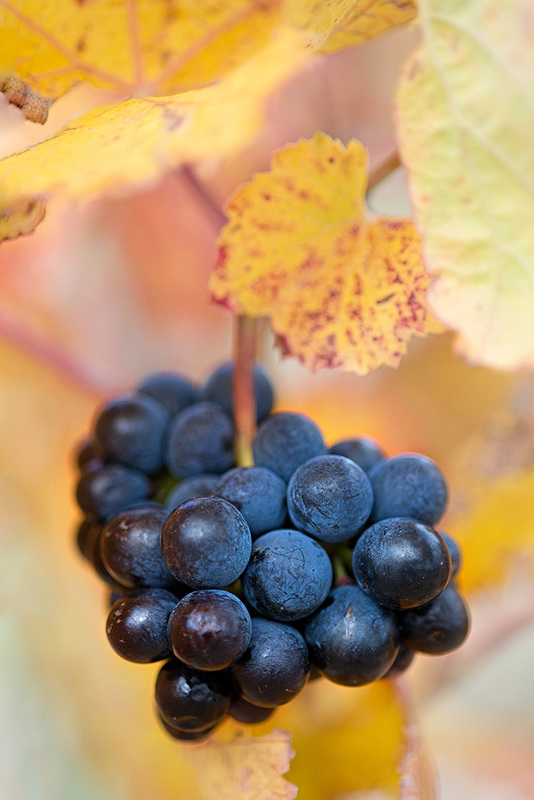 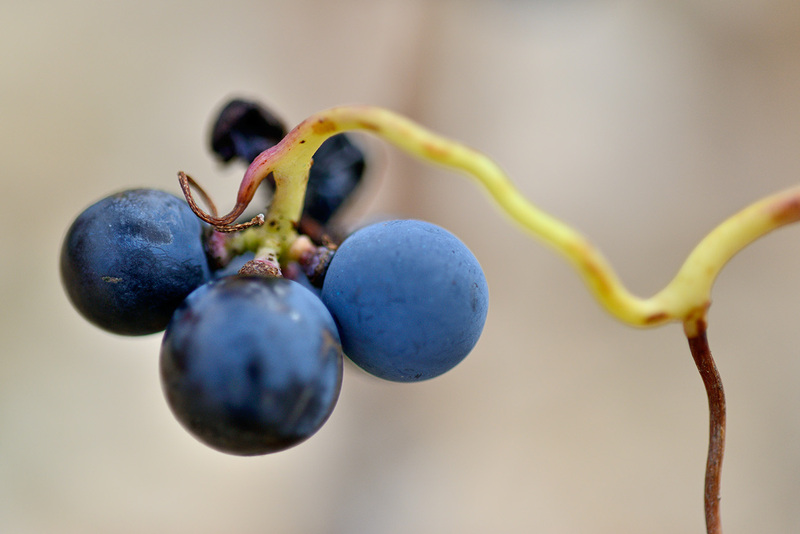 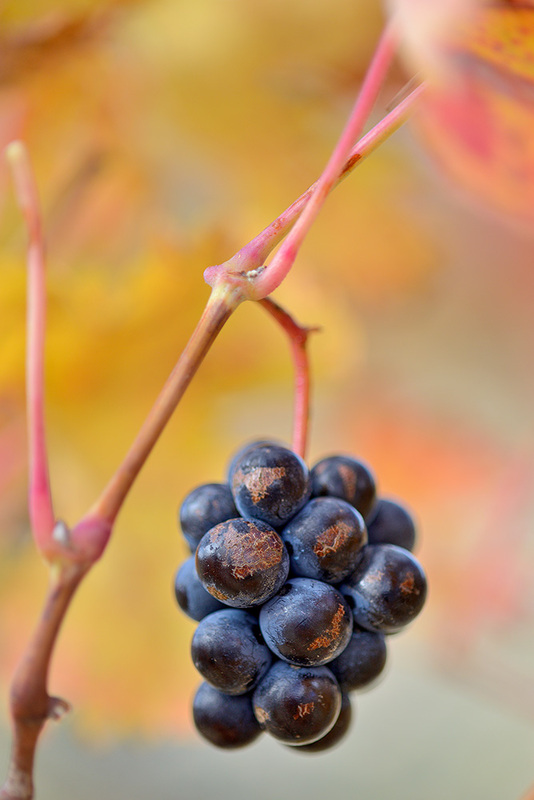 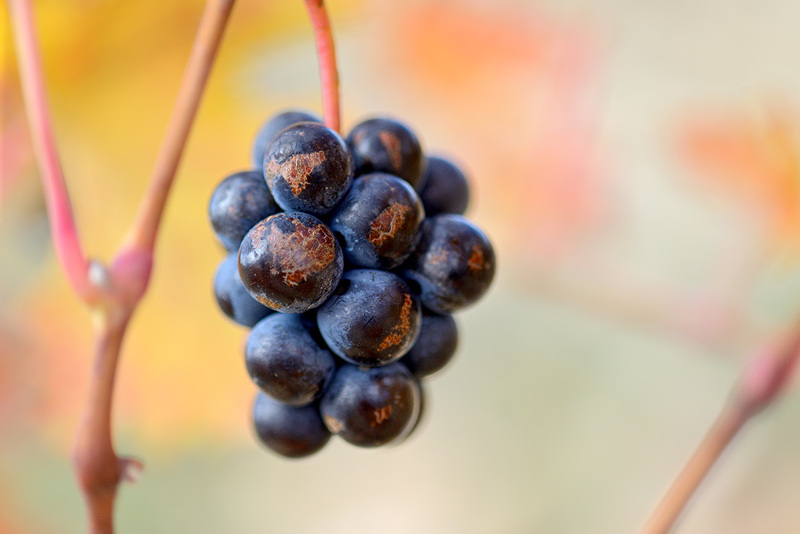 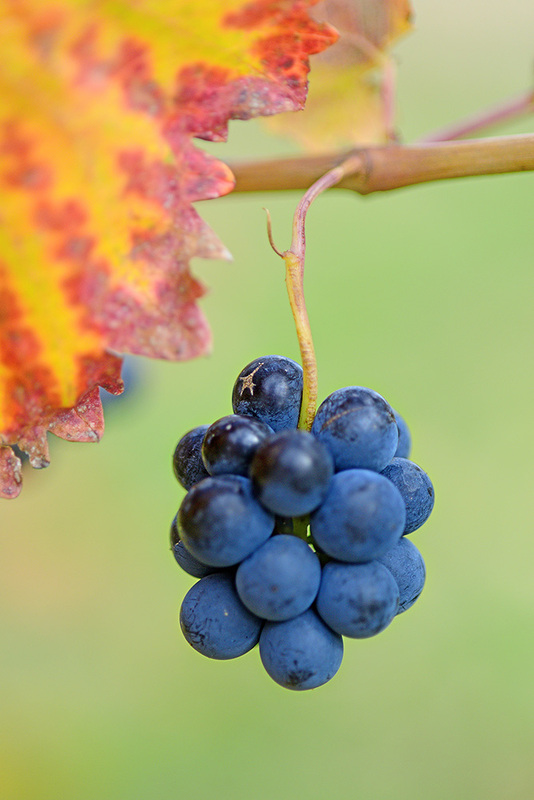 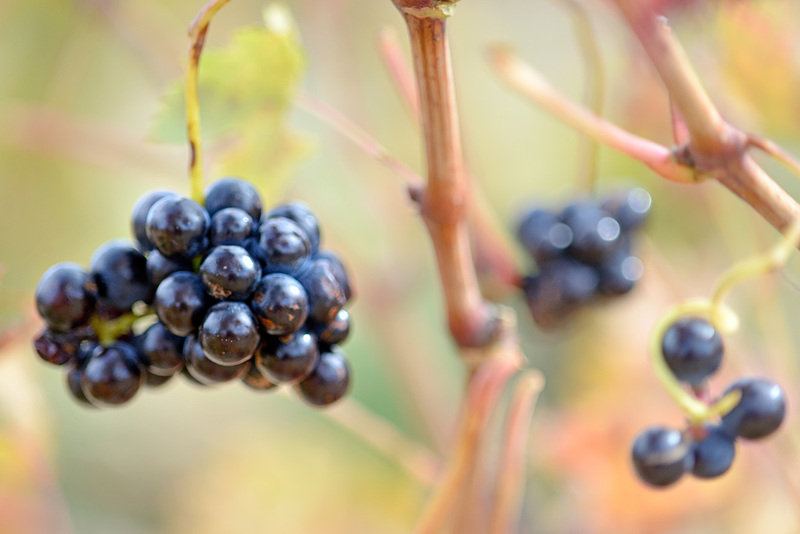 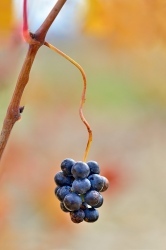 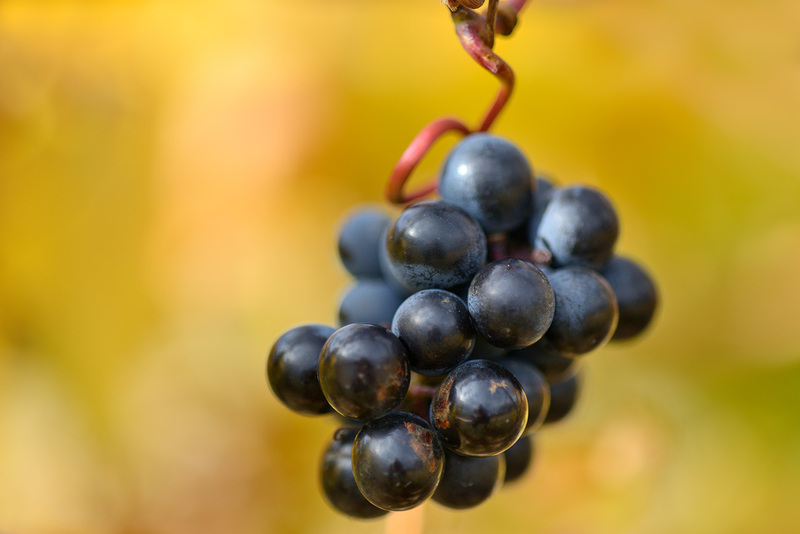 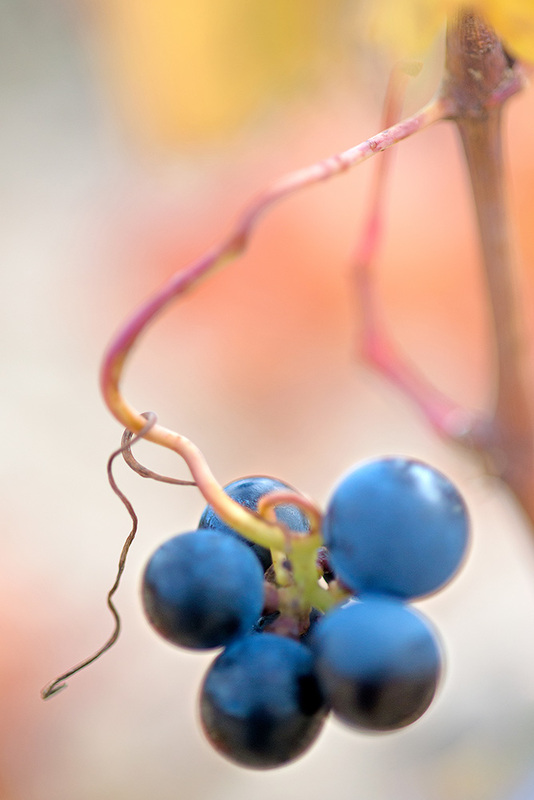 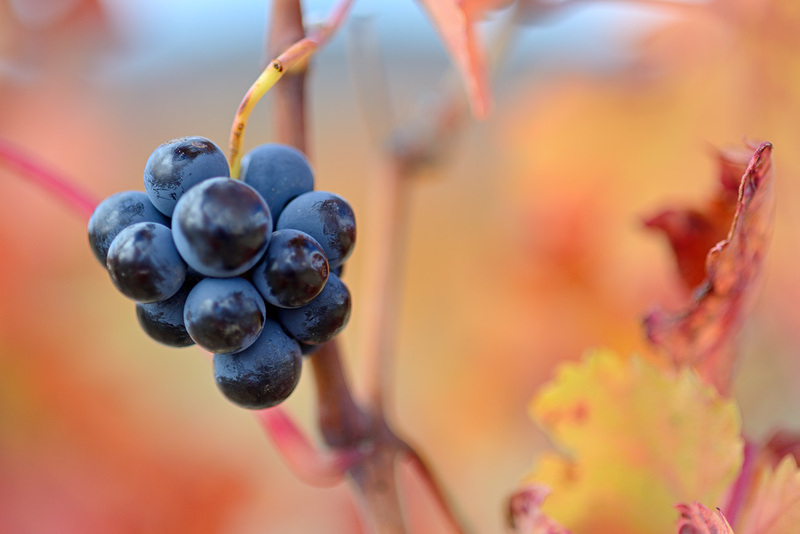 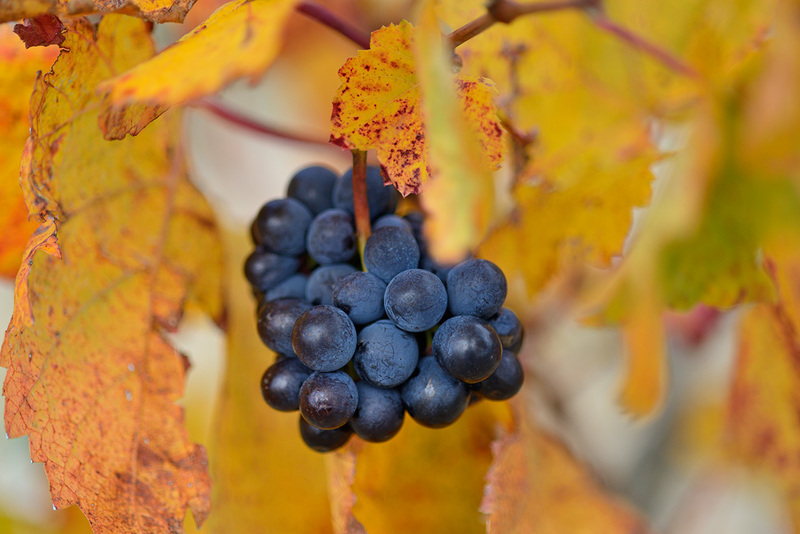 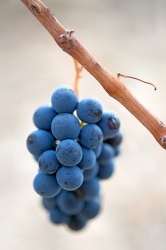 After the gathering of grapes, we were still able to find bunches of the blessed fruit that give life and equilibrium to the shots we humbly took. 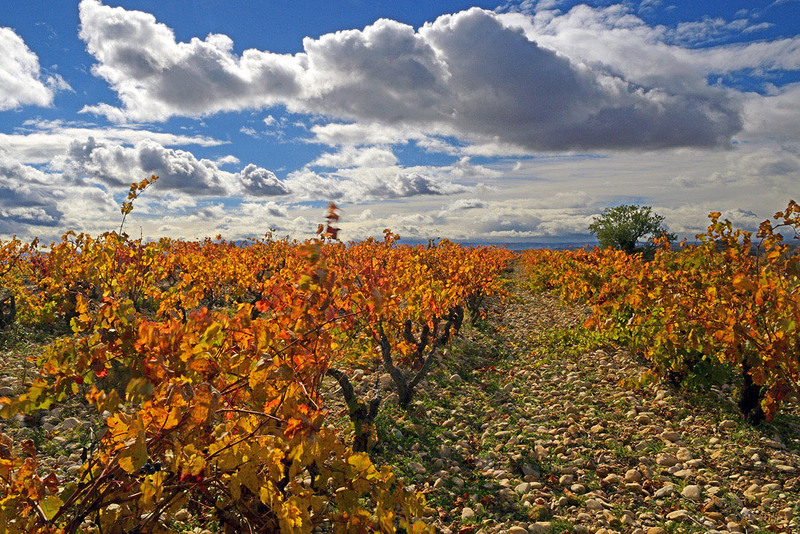 We will keep many instantaneous photos in our memory with which we shall complete the work we started on a sunny day at the end of October 2015 after an eventful trip to Soria.